present study, could serve as a model. 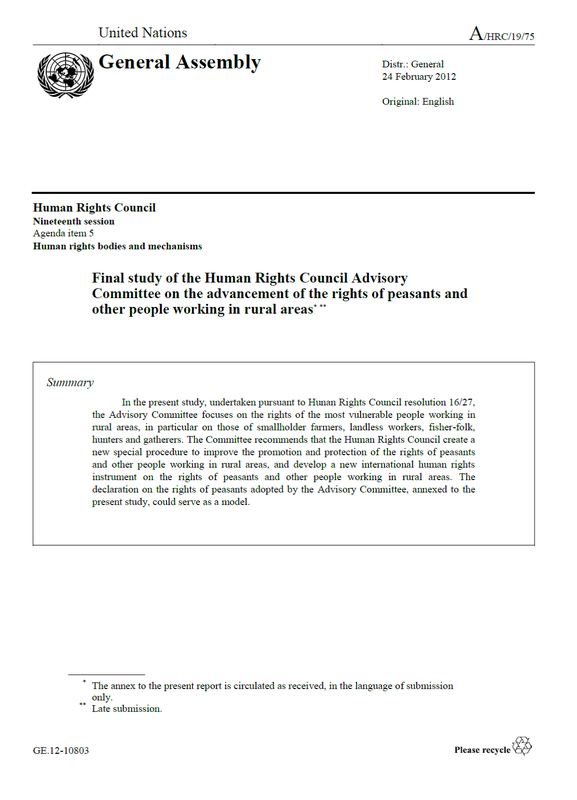 (Switzerland, Geneva, June 27, 2014) On June 27th, the United Nations Human Rights Council Assembly passed a resolution authorising the continuation of the process of drafting an international declaration on the rights of peasants and other people working in rural areas. Bolivia is in charge of starting up informal consultations between States and civil society as well as organising the second session of of the Intergovernmental Open-Ended Working Group, which is scheduled to take place in November 2014.